Michael Dunlop at the 2017 Armoy Road Races – Taking his seventh ‘Race of Legends’ in a row! The 2017 North West 200 was the start of the end for Honda’s Road Racing Season this year. Things hadn’t got off to a great start anyway even after the announcement of what has to be described as a dream team of John MCGuinness and Guy Martin. Guy crashed out of Tandragee and had a mediocre Cookstown event, however whether Honda wanted to admit it or not there was clearly an issue come the North West. 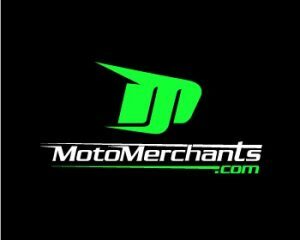 Every road racing fan knows John McGuinness just doesn’t fall off and it didn’t take long until the rumours started flowing that there was an issue with the bike and something to do with the throttle and that is what had thrown John off the bike. Now two and a half months later, those rumours have been confirmed. No doubt though, not having Derek Sheils is a big loss to any event, he has been ripping the tarmac to bits this year! “It is with much regret that the Armoy Motorcycle Road Racing Club has confirmed that Derek Sheils will not be riding in the Armoy Road Races at the weekend. “Derek cannot attend practice on Friday due to personal commitments and the Club cannot allow someone to carry out their statutory requirement of five practice laps on Saturday between races. “Grid positions for Saturday’s races are placed on Friday night. Some of the races are already oversubscribed and there are only 27 spaces on the grid. There will be non-qualifying races run to cater for this. Some 20 entries were also returned post the closing date for entries. Is there still hope though? 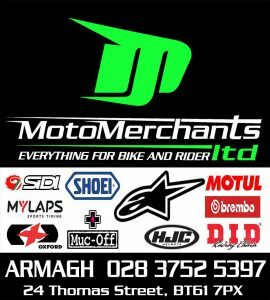 Derek Sheils Out Of Armoy? With huge publicity surrounding the partnership of John McGuiness and Guy Martin on the new Honda FireBlade things looked perfect for the 2017 season. Then it all started to unwind. A poor Tandragee 100 started the season with Guy crashing out on his first lap, followed by an uneventful Cookstown 100 and North West 200 (at the same time as losing team mate John McGuinness to a horrific crash) which led us to the Isle of Man. After the ‘box of neutrals’ incident Honda withdrew from the rest of the event. Guy went onto a second place in the TTZero with Team Mugen, his team mate Bruce Anstey taking the win in that event. Then the press release came that Honda and Guy would not be participating in the Ulster Grand Prix, a circuit that has brought Guy great success as well as proving almost deadly in 2015. At this point I think most of us thought the writing on the wall was now here. Guy Martin’s Road Racing days are over. Today’s session consisted of free practice session then a qualifying timed practice session. Keep reading for the results of the time practice sessions. However in the meantime check this out! Some great news coming out of the UGP Paddock today, my personal favourite Kiwi Sporting beard wearing motorcycle road racer is heading back to Northern Ireland for the 2017 Ulster Grand Prix… on a 250 Two Stroke! Don’t panic though the RC213V-S is coming along too. Has Guy Martin Finished with Honda? Reports indicate that Guy Martin and marque Honda will not contest Armoy or the Ulster Grand Prix; an inauspicious and anticlimactic end to a very arduous season in 2017. After so many years of success, Honda has endured, along with its riders, a highly tumultuous year already and one wonders how they will come back from the apparent brink. Sad end to the year for Guy and for Honda if this is the case. To be brutally honest after the 2017 Honda has found itself nursing I can’t fault any outcome like this, whether it is Guy Martin finishing with Honda, or vice versa, or Honda pulling out of these events of its own volition I think the final outcome is the right one. What I do hope is that their R&D Teams get any remaining bugs ironed out and make a great comeback in 2018. I would be really surprised to see them fielding a team with a diferent rider(s) this season. What I also hope is that this doesn’t end Guy Martin with road racing, the simple facts are, Guy is quick and skilled, you don’t get into the 132mph TT Club by accident or happy chance. He is popular and this fame brings people (and money) to these events. No doubt it helps with the following, contraversial maybe? True definitely. And finally I think he has unfinished buisness – he wants that TT win, and to be honest I want him to get it. Maybe Wilson Craig Racing could see him on a bike to see out the season, who knows? Anyway here’s to fast and sucessful return to Road Racing, in the very near future to Honda Racing and Guy Martin. If you have a full Sky Sports Subscription it will cost you a whopping £89.99. If you are not the holder of a full Sky Sports Subscription you’ll need to part with a hard earned £129.99! Hopefully a local pub will be showing it otherwise I’ll be relying on the highlight reel!